DontZzz34 had the most liked content! If people do this shift against the table and if they come towards you shift grab em or they’ll jump out a window and stop that game for a bit. Yeah true he is a little too large for the windows, maybe if they made the windows a bit bigger then he could jump through them. It’d just make the game pretty crazy if he could jump through windows when chasing people along with my other suggestions. Mainly for this reason alone is why I think sense would need to be nerfed, since he’d have easier access to cabins would mean he could really stay on people’s tails in chases if they’re hopping through windows and if they get some distance from Jason they can hide for a bit to regain stamina before the intense chase begins once again. Not sure how balanced this would be unless it’s tested but what if they buffed Jason to be able to do things like jump through windows, grab people out of windows, and if someone is running around a long table/furniture he can throw the furniture/table out of the way. If they did make Jason this OP I think sense would need to be heavily nerfed down to make it so he can’t spam sense and maybe sense should only last a shorter period of time as well. Sense would definitely need this nerf with this kind of buff so people could have a chance to get away/hide from Jason. 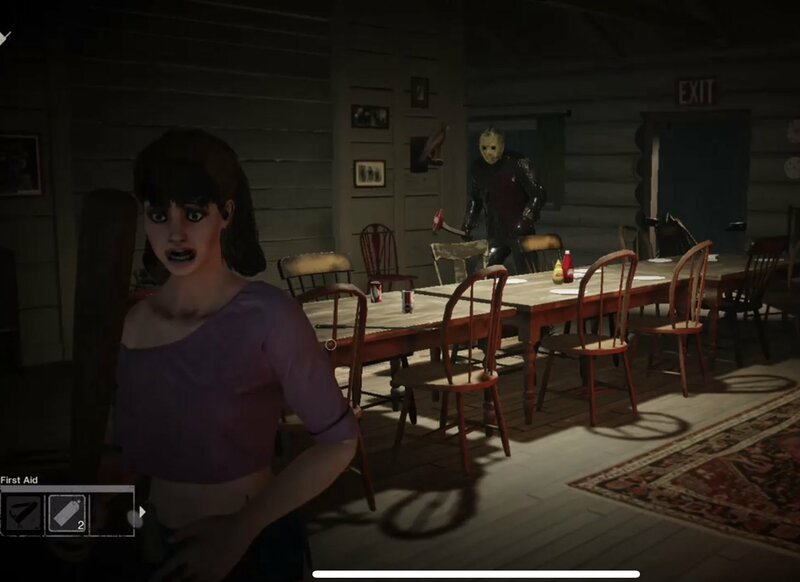 Also, I think more people would be shitting their pants when Jason is chasing them rather then trolling him if he could do these things 😂 what’s everyone’s thoughts? Yeah I wouldn’t recommend to drop weapon and pick it back up right in front of him. Getting ur distance first I guess I thought they’d already know this.